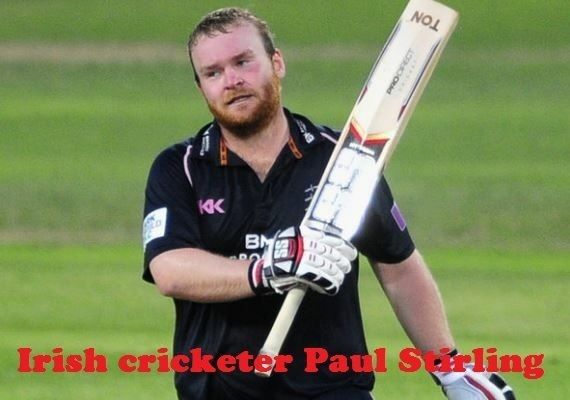 Paul Robert Stirling (born 3 September 1990) is an Irish cricketer. 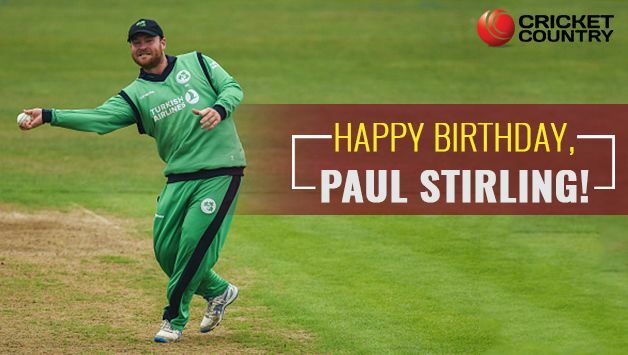 Considered as one of the best batsmen to play for Ireland, Stirling is the opening batsman for Ireland and a useful right arm offbreak bowler as well. He debuted in first-class cricket in March 2008, playing for Ireland in the Intercontinental Cup. The same year Stirling made his debut in One Day Internationals (ODIs). Having represented Middlesex's youth sides and Second XI, Stirling signed a contract with the club in December 2009. A month later he was awarded a contract with Cricket Ireland, making him one of six players with a full-time contract with the board. He made his twenty20 and List A debuts for Middlesex in 2010 and 2011 respectively. In July 2009, Stirling scored his maiden first-class century. In Ireland's opening match of the 2009–10 ICC Intercontinental Cup, he opened the batting with Jeremy Bray and in the first innings scored 100. 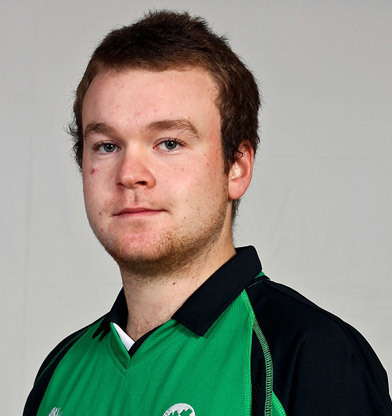 Stirling was a member of the Ireland squad that participated in 2010 Under-19 World Cup hosted by New Zealand in January. The team were runners-up to Bangladesh in the Plate Championship, finishing tenth overall out of 16 teams. Stirling was the team's leading run-scorer, with 209 from five matches. 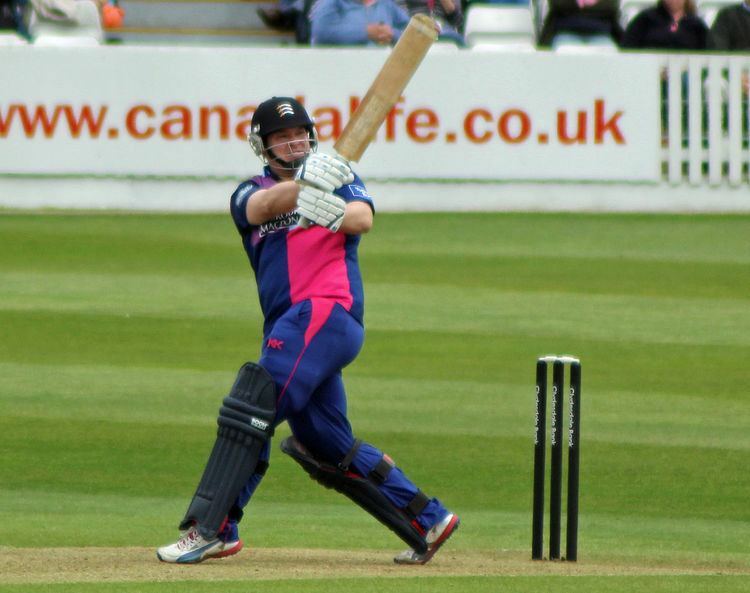 In December 2009 Stirling signed a three-year contract with Middlesex County Cricket Club, joining former Ireland international Eoin Morgan at the club. 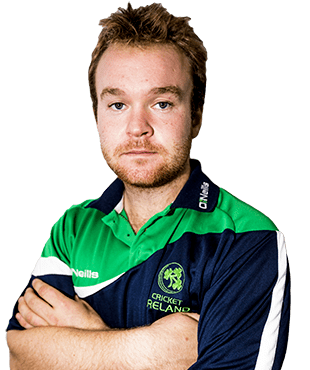 According to Angus Fraser, the club's director of cricket, representing Ireland is Stirling's priority; he also stated that "Paul has been involved with the Middlesex youth sides and Second XI and we are delighted that he has now signed a full time contract for the club. His batting for Ireland in 2009 highlighted his potential". The following month Cricket Ireland, the governing body for cricket in Ireland, awarded Stirling a full-time contract. He was one of six players to be awarded such contracts with Cricket Ireland, and came just a year after the first professional contracts were awarded to Ireland's cricketers. Before that players were amateurs relying on income from other jobs and playing cricket in their spare time. The contract allowed Stirling and the others to focus on cricket, with the aim of improving ahead of the 2011 World Cup. After the 2011 Cricket World Cup, Stirling broke into Middlesex's one-day side during the 2011 season, making his List A debut for the club on 24 April against Worcestershire. Although Middlesex failed to progress beyond the group stages of the 2011 Clydesdale Bank 40, Stirling enjoyed personal success. Scoring 535 runs from 12 matches, he was Middlesex's leading run-scorer and 7th in the competition. During an innings of 68 against Yorkshire, one of Stirling's two half-centuries in the competition, he passed 2,000 runs in List A cricket. Towards the end of the competition Stirling struck his first century in Middlesex colours, scoring 109 runs from 81 balls to a 34-run win over Derbyshire. Although a full-strength team played against England in an ODI in August 2012, county commitments meant many of Ireland's senior players were unavailable to play in the team's opening match of the 2011–13 Intercontinental Cup. An attacking half-century from Stirling in the final innings of the match helped secure victory for Ireland. Later that same month Stirling scored his second first-class century. His innings of 107, beating his previous highest score of 100, came off just 79 deliveries and helped Ireland to their second win of the Intercontinental Cup. In August 2010, Stirling was nominated in the "Emerging Player of the Year" and "Associate and Affiliate Player of the Year" categories for the ICC Awards. He was the only associate member to be nominated in the "Emerging Player" category, the other 15 players coming from Test-playing countries. Ireland's had most nominees in the "Associate and Affiliate" category, with Trent Johnston and Kevin O'Brien included alongside Stirling. 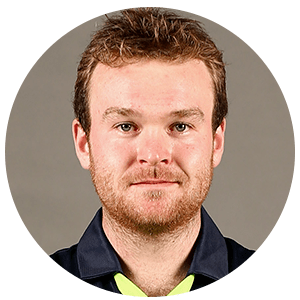 Richard Holdsworth, a representative of the ICC, said "I think it's fantastic for Paul Stirling to be nominated in two separate categories and to be recognised alongside some of the leading emerging players in the Full Members, it proves how far the development of Associate cricket has progressed". He did not make the short list in either category. On 7 September 2010, during a One Day International against Canada, Stirling made his maiden List-A century, scoring 177 runs. In doing so, Stirling made the highest individual score for Ireland in an One Day International. Stirling was selected in Ireland's 15-man squad for the 2011 World Cup. Ireland won two out of six matches, which was not sufficient to progress beyond the group stage, but finished on a high by beating the Netherlands. Chasing 307 to win on a batting friendly wicket, Stirling opened the batting with team captain William Porterfield. The pair shared a partnership of 177 runs, setting a new record for Ireland's first wicket in ODIs. Stirling fell for 101, his century coming off 70 deliveries, which made it the fourth-fastest in World Cup history. When Ireland's cricketers have been regulars for English counties, demands from country and club have sometimes come into conflict. Despite this, Stirling played in Ireland's two-match ODI series against Pakistan in May. Ireland lost the series 2–0, but in the second match Stirling scored his first century against a Test nation. Stirling's influence on the team was such that, along with all-round Kevin O'Brien, he was one of two Ireland players shortlisted for Associate and Affiliate Player of the Year at the 2011 ICC Awards in August. A side made up of some of the best players from Associate and Affiliate teams was put together to face England in Dubai in January 2012. The three-day match was part of England's preparation for a series against Pakistan later that month. Stirling was one of four Ireland players included in the 12-man squad.